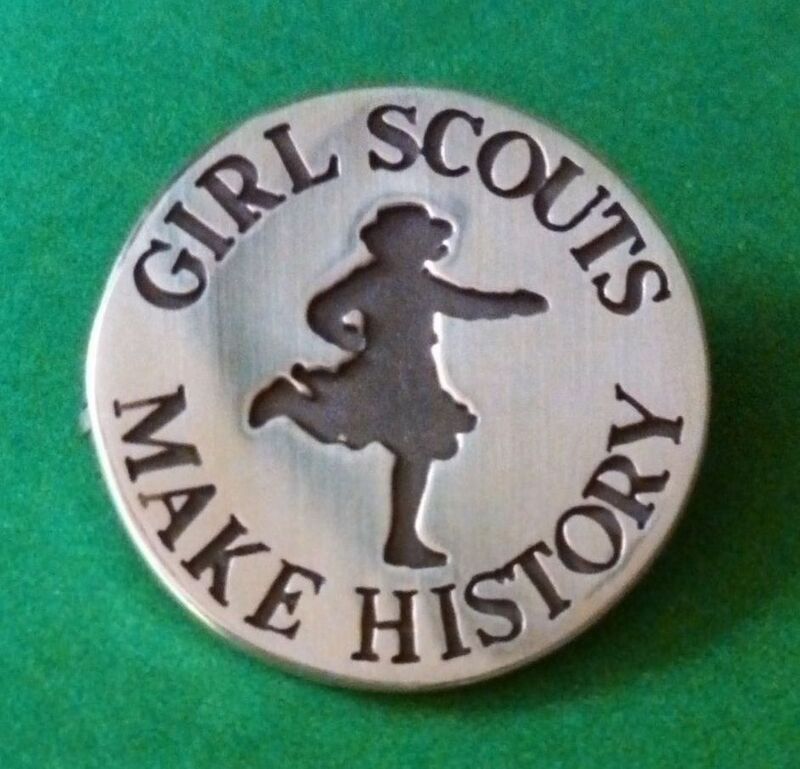 Have you bought your Girl Scouts Of Greater Atlanta History and Archives Committee pin or charm yet? They’ve been recently redesigned and are now officially licensed and produced by the GSGATL Council! There are so many fun charms and pins available nowadays at your local Badge and Sash store or through GSUSA’s online store and these make a great addition! Available now is a wonderful necklace, made especially for holding all these charms, or add them to a Girl Scout charm bracelet. These little charms and pins make wonderful birthday and Christmas gifts! And don’t forget Leader Appreciation Day coming up in April! 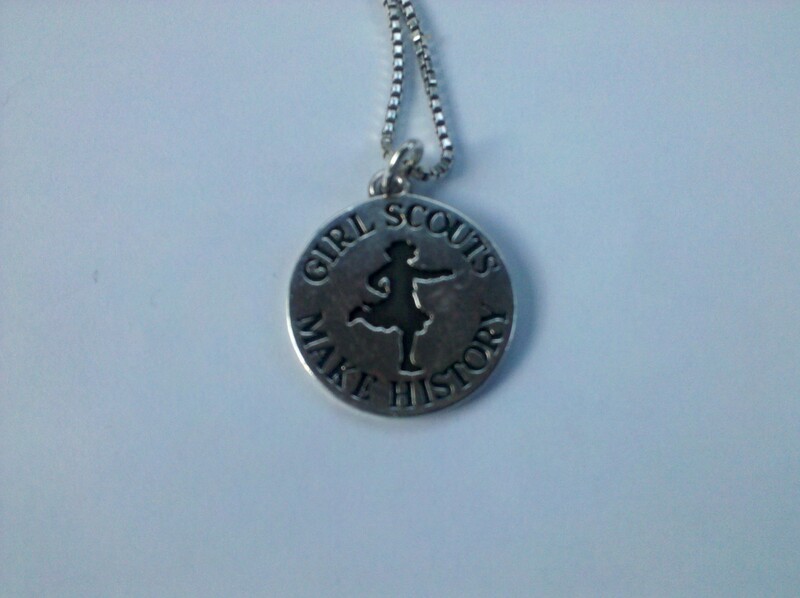 These are absolutely perfect for that certain volunteer in your life that is especially interested in Girl Scout history and traditions. The committee pins and charms feature the “running girl” image which was introduced on the first camp postcards produced for Girl Scouts, used between the years of 1920 and 1925. The pins cost $25 each and the charms are $20. They come in silver only and can be ordered by downloading, printing, and filling out this Pin/Charm Order Form. Or you can contact us and we’ll send you a PayPal invoice and you can pay online! Easy as that! 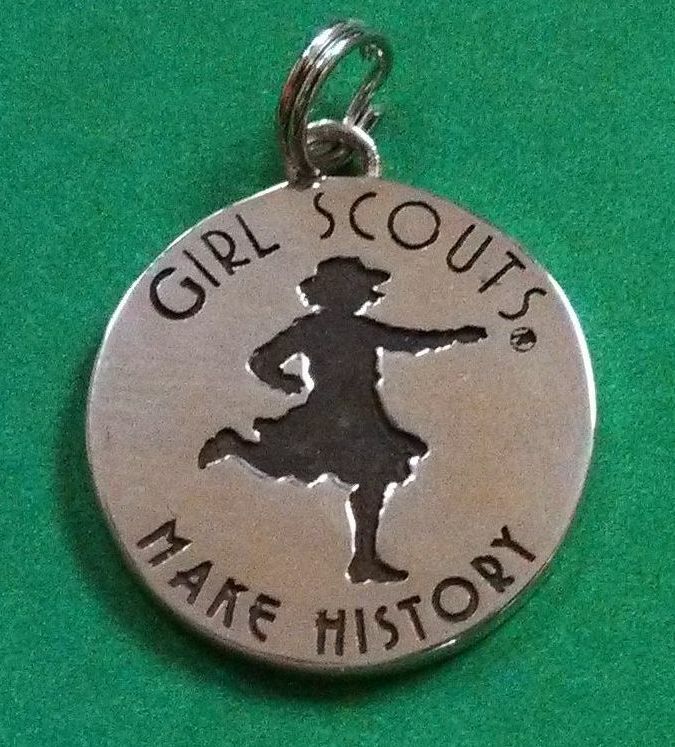 All proceeds from the sales of our pins and charms go directly to the Archives Committee to help us continue to fund the preservation of Atlanta area Girl Scout memorabilia.